One of the ways that I pay for the costs which I incur from the hosting and promotional expenses of running this blog is to have display ads and Affiliate links on my article pages. 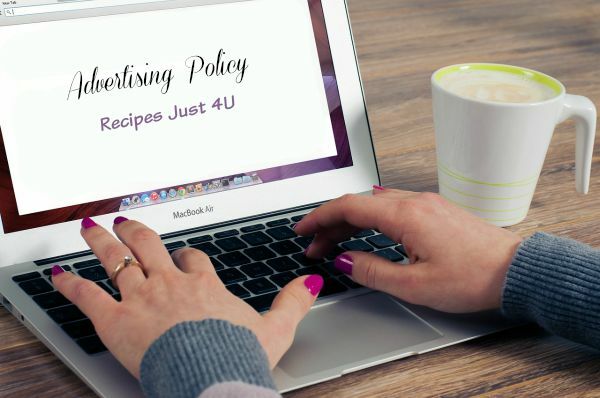 Recipes Just 4 U is a participant in the Amazon Services LLC Associates Program, an affiliate advertising program designed to provide a means for sites to earn advertising fees by advertising and linking to Amazon.com. You, as a customer of Amazon, do not pay any more for the products you may buy, and I earn a very small commission is you should purchase an article after clicking on a link on my website. I also have display ads from Google Adsense on the side bar and throughout my articles and occasionally link to other affiliates. Thank you for the small part that you play in helping me to keep my blog running by visiting the sites that I recommend.